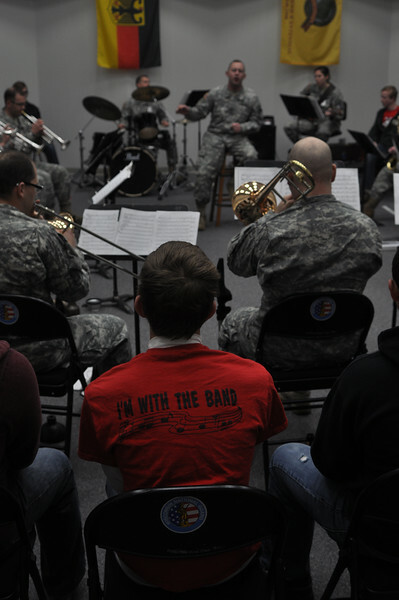 The Tri County High School Band visited with the 132nd Jazz Band. SFC (ret.) Bill Femal (former 132nd percussionist) band director. The Jazz Band was led by SGT Shipe.